Along with men, women are also defending our country, flying our planes and, of course, driving more cars. Why don’t we see more women in the auto industry then? The editor of a leading advertising and marketing publication reached out to me recently for some help. She needed an opinion piece for her publication from a prominent female voice in the automotive industry and wanted me to suggest some names. I instantly recommended two, but the editor asked for more choices. After making her hold for an unbearably long time, I couldn’t think of any more. I said I’d get back to her. Even after a full day of pondering, I couldn’t suggest any new names. Which set me thinking – why aren’t there more women in leading roles in the automotive industry? The barriers between men and women have been falling for a long time now in India, but men are still holding most of the senior positions in the Indian automotive industry. Why blame only Indian automakers? It’s no better globally. Only 8% in the top 20 motor vehicle and components firms in the Fortune Global 500 are female executives. Over half of these top 20 firms have no women on their executive teams at all. In India, only three out of 25 Supreme Court judges are women. Only one out of eight MPs are women. With the top institutions of the country deficient of women power, how can there be more female representation in private industry? It seems that, in our country, only 5% of women work in formal salaried jobs. The question is why do we need more women to take on more responsibilities? Because they are a huge economic resource that is not being tapped. According to a report by the International Monetary Fund, India would be a whopping 27% richer if more of our women worked. That translates to overall prosperity and an improvement in India’s income status. If that’s not a good enough reason, I don’t know what is. Patriarchy, regressive attitudes and outdated conditioning are coming in our way, preventing this growth. Female participation in India’s labour force, at 27%, is already among the lowest in the world and is actually declining – bucking the trend of our strong economic growth. In China, for example, nearly 50% of workers in manufacturing are women. It’s not that we’ve not had beacons when it comes to women empowerment. Indian women are literally taking off. 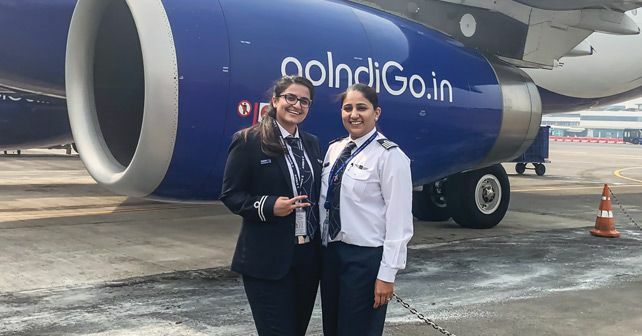 The International Society of Women Airline Pilots recently put out a positive report that India has the world’s highest percentage of women airline pilots. Globally, only 5.4% of all pilots are women, but in India, it’s a heart-warming 12.41%. That is, 1,092 of 8,797 fully qualified pilots in India are women. What’s more, it’s double of what it was in 2014, and is again tipped to double by 2022. Then ever so often Air India does this superb display of women empowerment to the world by flying an all-woman crew in a sophisticated state-of-the-art plane to the US and back. As I’m writing this, the nation got its seventh female fighter pilot. Of the 139 flying cadets, she was one of 24 women passing out from the Air Force Academy last month. The Indian Navy is taking on women sailors. After initially saying yes, the Army Chief recently executed a U-Turn on having women in combat roles. If women are willing to sign up, I don’t think he’ll be able to stop the tide. When it comes to the auto industry, if women are admittedly highly influential in making automotive purchase decisions and more of them are seen driving and riding on our roads, shouldn’t they also be influencing how vehicles are designed and manufactured, how they are sold and how they are maintained and serviced? The automotive business already contributes a substantial seven-plus per cent to India’s GDP, so it has a strong role to play in the country’s economic growth. By hiring more women in the labour force and in offices and boardrooms, it can only bolster its importance to the country even further. Though it has traditionally been a male-dominated business, the auto industry is also progressive and dynamic, has a finger on the pulse of the economy, as well as the market, and is quick to improvise. Now it can lead by example too. Srinivas Krishnan writes about classic and vintage cars for various publications. He is the former Editor of Business Standard Motoring & former Head of Press, Porsche India.